Its all about the check book with the NRHA. They shudder with excitment any time someone opens up and hands them a check and they give them a free pass to do whatever they want. Horses are the least of their concern as long as the circus keeps rolling into town for the futurity that is their deal. This guys cousin is probably on the board for all we know. There are alot of Uncle Bills in that there association !!! Got out ages ago and its just go worse. Too true. I don’t see Uncle Bill standing up against his brothers any time soon.Its an old boys club like the Tennessee Walking horse. They actually believe their own BS when they justify abuse. How many more are there? Plenty and that is why I no longer do reining. 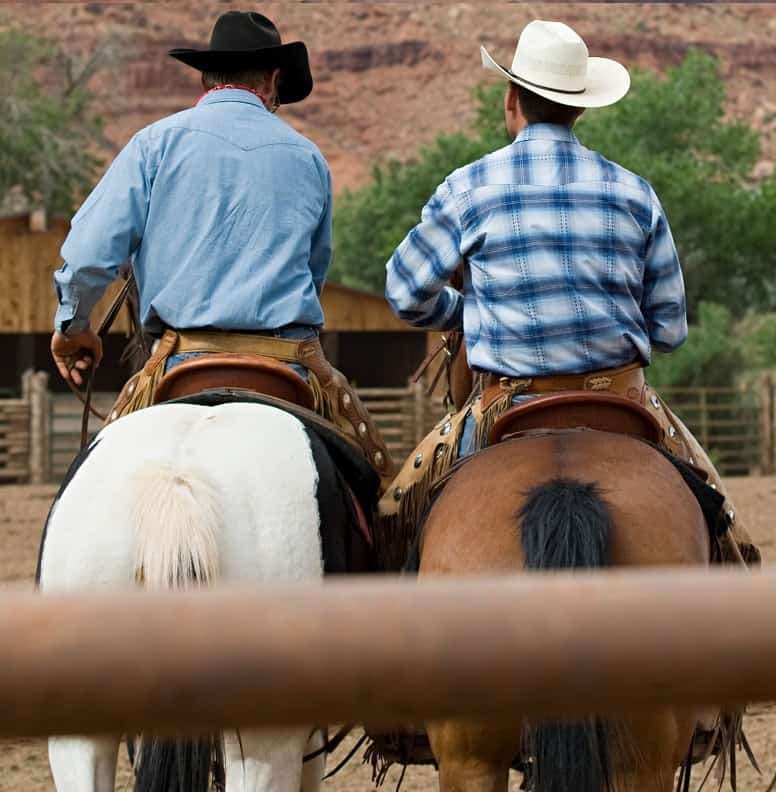 My husband and I come from ranching families and have bred, raised and worked with horses all our lives. We visited at the derby show and were appalled at what we saw behind the scenes. These people have no respect for their horses and just fools playing cowboy chasing money. Strutting around like madonnas with young fools that have never seen a working horse gullible to their every word. The horses are machines to them. 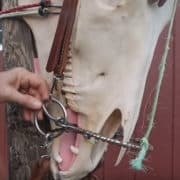 My father has booted cowboys off the ranch for treating horses with such contempt and disrespect. The people have no measure of horse abuse as its all they see in front of their eyes. We left heart broken and disappointed for the horses. Keep your fight going on this site to help them. What morals does this association have? What morals to the owners and trainers have? The people that support this cruelty are as guilty as the one’s abusing them. 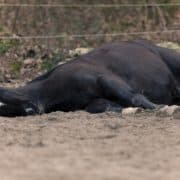 I am sick of reading on FB my horse has a great life – locked in a box 24 hours a day, ridden for 30 minutes being belted every time they put a foot wrong is not a life. That is mental and physical abuse. A pyschologist would have a field day with this “Family”. Where are the authorities who oversee this sport. What about AHSA. Are they no longer the ultimate authority. This is disgraceful and inhumane. They must be stopped. 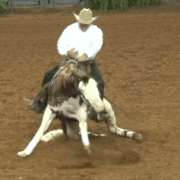 It is managed by the National Reining Horse Association (NRHA). They are accountable to no other horse authority. I am speechless. I read the comments on FB share and are galled by the attitude of what are clearly reining horse riders. 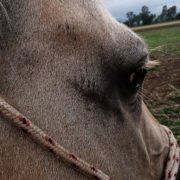 This is inexcusable abuse and as if you would ever trust that piece of trash near a horse again. Shame on you all I say thinking there is nothing wrong with this. I know how you feel Chris. 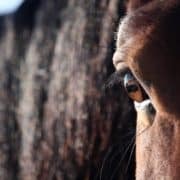 I saw the comments and thought it was a sham article but decided to click through.OMG people – who the hell would support this pig being near a horse is deranged. The patheticness of clearly reining people supporitng this guy on FB shows people who have no morals or love of horses on any level. Who would risk their horse near him. Where is the Psychologist- their book will fill for the year??? Why is there no register for these bastards to warn all horse people. I cannot believe anyone would think it is OKay for him to be a trainer – he never was one to do this. Shows how much abuse there is that they think is acceptable. My god, pray for them for all. The article has the link to the original blog where we outed him with the information and the persons name and locaton. Click on the image. The person is not being kept secret at all. No-one is supporting abuse in their comments on this web-page. Ellen your right. They are so good they hide it to the averge joe visiting their barn. They are slick talkers and like magicians destracting people from what they doing. 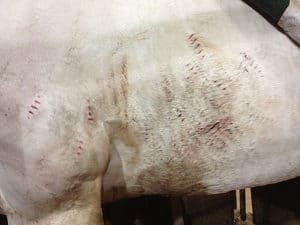 Dropped by a top barn with friend and could not believe the harm being done to those horses and I not tree-hugger. I work on a ranch. Horsemans my aunt. Its a disaster! I just had to pull two head from a trainer in PA. 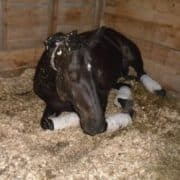 If you want to see real reining horse abuse go to campbell hall NY.!! I am so over the NRHA and this club of sponsors and cheaters taking every red cent they can get from the membership.